Over ten years ago, Beatrice Deer left her hometown of Quaqtaq, QC (population: 376) and moved to Montreal. She set out to achieve three goals: to get more serious about music, to pursue a higher education and make sure her children have more educational options, and to go to therapy. 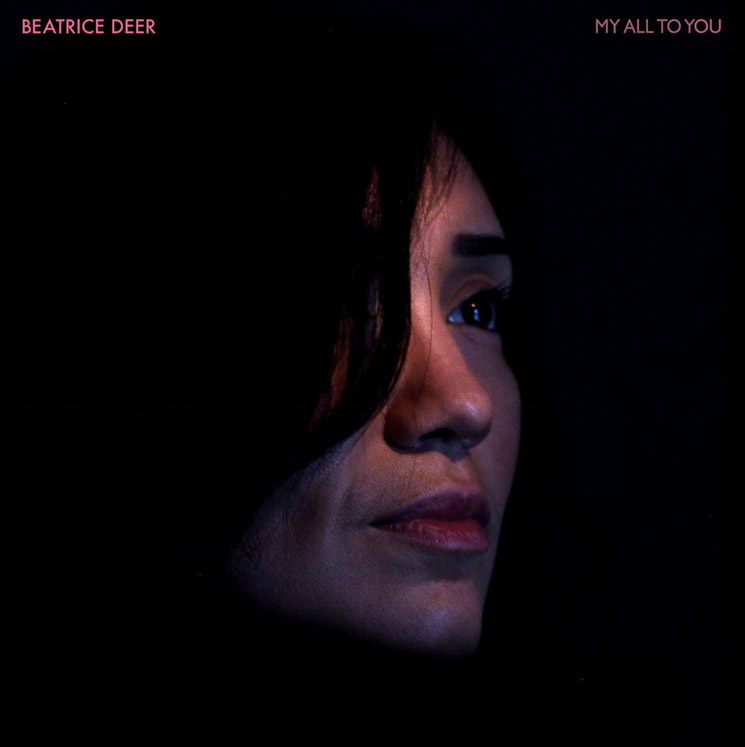 My All to You, Deer's fifth album and a confident step forward, feels like the culmination of her accomplishments. As Deer writes in a press release, "My All to You is all about owning up. It's about reconciliation with yourself — which is the hardest thing to do." There's something reassuring about the warm folk-rock tones of Deer's trilingual (she sings in Inuktitut, English, and French) album. The tracks are centred by a steady beat, as if mirroring Deer's own even-tempered heartbeat, and fluctuate between cleaner and more roughed-up instrumentation. Opener "1997" has a laid-back and wistful vibe, "Qaujimagit" is hazy but determined, and "Immutaa," a traditional song, sounds positively buoyant, like the first warm breeze after a long winter. Beneath these tones, Deer sings of her joys and fears and hands them to us with a smile. On the title track and on "Mali," Deer sings of finding her inner strength to get through tough times: "I have no doubt in me even if times are challenging," Deer sings on the latter track. Closer "You're With Me," also feels like a personal revelation as Deer acknowledges she is not navigating the world alone.